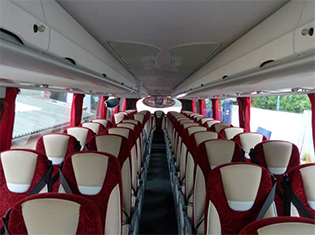 Climate controlled and spacious, onboard WC. 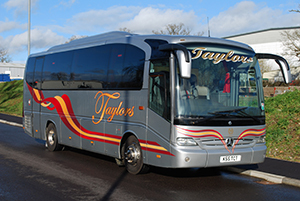 Large luggage capacity and the latest environmentally friendly euro 5 engine to help lower carbon footprint. Superb ride quality and comfort. Used for all our trips and holidays. 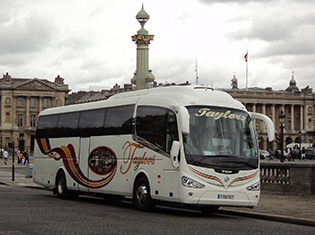 Perfect for every trip, be it a quick visit or touring Europe. 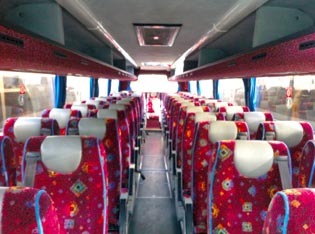 30 comfy seats with 3 point belts, Air Conditioning, washroom, DVD and radio. Full servery with fridge, microwave and hot and cold water. 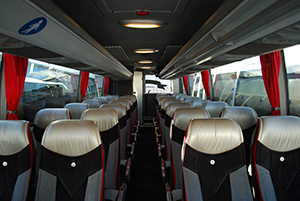 Great for touring and corporate work where numbers are less than a full size coach. With or whithout climate control. 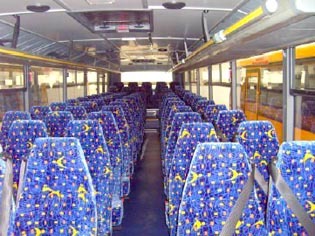 All seats have seat belts and some have three point belts for added comfort and for the use of child seats. Comfortable, reliable and quiet. Ideal for all types of trips. 3 point belts / CCTV / blown air ventilation. 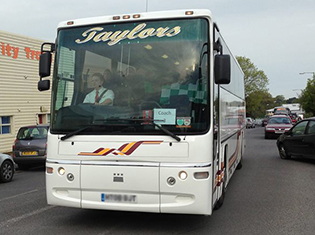 Ideal for transporting large groups in a safe cost effective way. 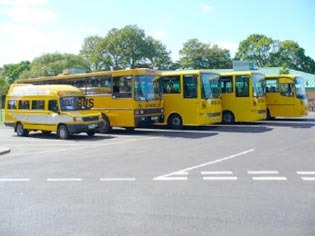 Large capacities mean the ability to transport whole classes/year groups on a single vehicle. High visibility yellow paint.